Are you interested in starting a travel blog or travel website? Or maybe you’ve started a blog, but feel like you are lacking good direction. If this sounds like you, you’ve come to the right place! 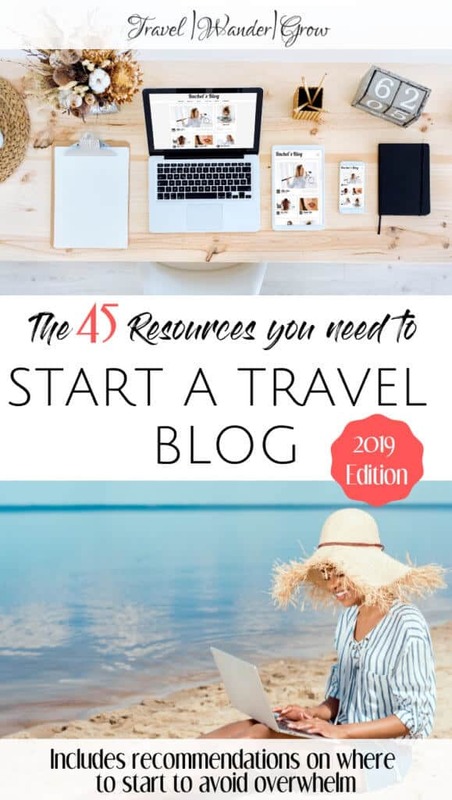 In this post, I’ll go through the 45 best travel blogger resources that you need to set up a beautiful and profitable blog. I don’t typically “blog about blogging”, but as this it is the eve of my first blogging anniversary (! ), I want to share the resources and tools that I’ve found most beneficial in getting things properly set up. Everything in this post is ordered in the way that you should address it, so if you are now just wondering how to start a blog and make money from it, you should start at the beginning and work your way down. If you are a more experienced blogger, you may be more interested in the tips on affiliate marketing and increasing traffic. Feel free to use the table of contents below to navigate to the sections most applicable to you! **Note, there are a few affiliate links in this post, which means I may receive a small commission for your purchase at no additional cost to you. For more information, please see my Affiliate Disclosure. Travel Blogger Resources | Start Your Blog Today! So first things first, you need to figure out what your niche should be and the name of your blog / website. To figure this out, you should think about what travel topics you are most passionate / knowledgeable about. Also think on whether you will exclusively write about travel or expand to include other topics as well. One awesome resource for learning all the basics for starting a travel blog is the Business of Blogging course by Nomadic Matt. 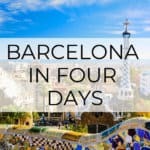 This course is great because it walks through each and every step that you should take for a successful travel site. Additionally, each module is released just one week at a time, so you have time to digest what you learn and implement as you go. 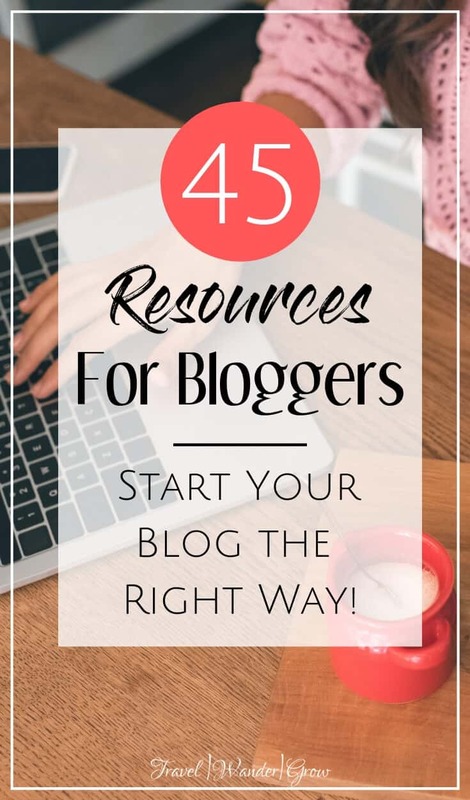 Okay, now that you have your blog name and niche chosen, let’s go through all the tools you need. 1) Wealthy Affiliate – This is the hosting that I currently use on my site. At $49 /month, it is a bit more costly than other entry-level hosting options, but it does come with a number of benefits that are hard to beat. Those benefits include access to a plethora of training, an awesome, writing platform, and nice keyword research tool (Jaaxy) and more! Also, that price will allow you to have up to 25 sites at NO additional cost! 2) Siteground – If you are only interested in hosting and are looking for a more economical option, check out Siteground. They are well-known in the blogging community for have superb customer service and good site speed. If you are just starting out, you can get hosting for just $3.95/month, which is a bargain! 3) BigScoots – This option is great for those of you who have been blogging a while, and what to really amp up your site speed given higher traffic to your site. They are known to have the HIGHEST site speeds out there for managed WordPress hosting, and they will own the transfer process over to them completely. Fully managed hosting at BigScoots starts at $34.95/ month. 4) Studio Press – Studio Press has some of the best and most responsive themes out there. I use the Refined Pro theme on my site, and love it due it’s high customizability. Visit and browse the themes available for yourself! There are plenty of options for everyone. 5) Pigdig – For light and airy feminine themes, check out the ones available at Pigdig. Note, that they are not as lightweight as Studio Press, so have a greater chance at impacting site speed. 6) CovertKit – This email service is just awesome. 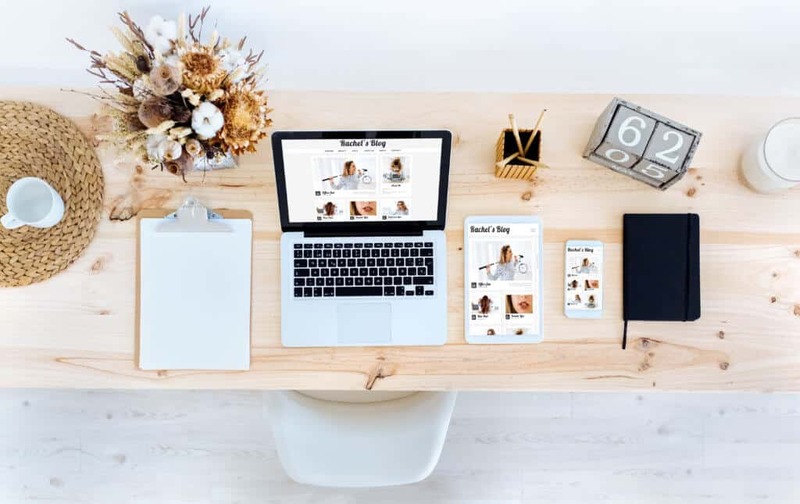 From visual automations, to the ease of setting up email opt-ins, and available training, you are set up for great email list success with this service. I switched to this option after using the free MailChimp (shown below), and do not regret paying the ~$30 monthly cost at all! 7) MailChimp – For absolute newbies, MailChimp may be your best bet, as it is free until you hit 2000 subscribers. It does have a lot of functionality for a free service, but it does require more work to do the same things that you can in ConvertKit with minimal lift. 8) Yoast SEO – This plugin helps you with basic SEO – readiness, helping your site be found by Google and Bing search engines. There is a free and a paid option, but in my opinion, the paid version is not worth it. 9) WP Super Cache – This plugin generates static HTML files from your dynamic WordPress blog to help keep load times quick. There are other cache plugins that you can use that are paid, but this one offers great service for free. 10) Google Analytics for WordPress – Use this to help you easily connect your site to Google Analytics so that you can track your site’s traffic. This plugin also has a free and paid version, but the free one will do just fine. 11) Compress JPEG & PNG Images – Compressing images on your site is NECESSARY. This is really one thing that I wish I focused on more when I started out on my blog. You get to compress 500 images / month for free and then have the option to pay a small fee for additional compressions. 12) Interactive World Maps – Now, this plugin won’t really make your site faster, but it is pretty much a must for travel bloggers, no? You can see mine displayed in the sidebar and other pages on the site. Now this is a paid plugin, but at just $22, I think that it is worth it. 13) Social Warfare – To keep your blog posts shareable, you need to have a plugin that puts social share buttons on each one. Social Warfare is an industry standard, and makes it easy to keep track of your share counts and control how your content is shared from your site. There is a free and paid version for this plugin, and I recommend the paid option, as it just has much better features. You can always start free and upgrade when it makes sense. The next step in setting up your travel website is actually producing content! I recommend having your site open as soon as you get started (meaning that it’s not shown as “under construction”). This will help google begin crawling your site right away. If preferred, you can hold off on your social media launch until you have 10+ posts, so that your initial traffic gets the impression that your site has longevity. 14) Wealthy Affiliate – As a member of Wealthy Affiliate, you have access to the Ultimate Writing Platform. 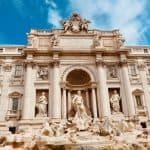 You can use this platform to write your content, build out writing templates to use time and again (for example, I have one purely dedicated to travel guides). Additionally, you can run a grammar and spelling check on your content before loading directly to WordPress. 15) Grammarly – If you need a standalone service, this site provides similar benefits as the Writing Platform mentioned above. This tool will help you check your grammar, spelling, as well as for plagiarism. 16) Nomadic Matt’s How to Become A Travel Writer Course – You should consider signing up to this course for tips on how to improve your ability to tell a beautiful story. The best part is that this also comes with a mentor, to provide you feedback on your assignments throughout the course. As a travel blogger, you really can’t get away with being a sub-par photographer. Unlike other blogging niches, it’s expected that at least most of your pictures come from your personal travels vs. stock pictures. To up your game, you should get smarter on taking better pictures, and also make sure you have the right gear. 17) Camera – Use what you can fit in your budget. Right now you can use the iPhone to take great pictures, for example. If you would like to upgrade, consider the Canon G7X Mark II. This is what I’m currently using and I love it! 18) Photo Editing Software – You should definitely edit all the pictures that you put up on your blog. Be thoughtful about the colors that you use and how your shots are composed. You can always start editing using the basic software that comes with your computer (e.g., Apple Photos). Consider upgrading to a program like Adobe Lightroom for even more editing capabilities. 19) Nomadic Matt’s How to Become a Travel Photographer Course – To take your photography skills to the next level, I highly recommend that you invest in this course! You’ll learn everything from the basics of setting up a shot to photo editing, and more! 20) Canva – This program is an absolute must for making graphics the easy way. I use it to design all the graphics that you find on my site, including Pinterest images. The best part is that this resource is FREE! 21) Adobe Photoshop – If you are more advanced at graphic design, you may also want to consider using Photoshop for graphics. I will call out that the learning curve is a bit steeper here. 22) Deposit Photos – In the chance that you do need to use stock photography, Deposit Photos has some of the best prices out there for quality pictures. Generating website traffic is really the only way that you’ll find any success in blogging. The two best ways to drive traffic to your site are 1) SEO and 2) Pinterest. SEO is the ultimate goal as it is more passive and steady than Pinterest. However, Pinterest traffic is great, because you can start getting traffic immediately – something that is unlikely with SEO on a new blog. But if you focus on SEO, you will really set yourself apart from other bloggers, as most don’t focus on it at all. 23) KeySearch – This is a keyword research tool that gives very good insight into the competitiveness of your chosen keywords and how likely you are to rank for them. 24) Ahrefs – This tool is quite similar to KeySearch, but comes at a much higher price. It is known to be slightly more accurate, and does have some added benefits. You can try it for 7 days for just $7 to see if it is right for you. 25) Jaaxy – This keyword research tool lets you know the volume of search results you could expect if you get on page 1, and recommendations on how easy it is to land on page 1. If you sign up for Wealthy Affiliate, this tool is included in that price. 26) Stupid Simple SEO – This is the most comprehensive course that I have taken to-date on SEO. As the title mentions, Mike (the instructor), really makes the subject matter simple and straightforward. He has a proven strategy for increasing organic traffic and the accompanying Facebook is full of wonderful insights as well. 27) Easy Backlinks for SEO – This ebook is a great supplement to any SEO course, as it teaches you how to get backlinks to your blog via methods that you probably have never heard before! If you know anything about blogging, backlinks are CRUCIAL to improving your google ranking. 28) Make Traffic Happen – This is a website purely dedicated to SEO strategy, started by two travel bloggers. There are also two course that they offer that cover ways to improve SEO on your blog. If you prefer to learn by reading vs. video, this is a good alternative to the first course listed. You may not have realized this before, but Pinterest is actually a web search platform, and less of a true social media platform. It is GREAT at generating traffic to new blogs, but there is a learning curve to using it properly, and you will need some tools to help you succeed. 29) Canva – This graphics resource (that I mentioned above) is a necessity for building pretty pins, to market your blog posts. 30) Tailwind – Now, I don’t recommend that you start out using tailwind right away, but once you have 20+ posts on your blog it is great for helping automate things so you spend less time on the platform. 31) Pinterest Ninja – Megan, the writer of this ebook, provides great tips for those just starting out on Pinterest in this ebook. If you don’t know anything at all about using Pinterest as a business platform, I recommend that you start with this book. This course is quite affordable at $59, and is even more valuable with paired with her Pinterest profile audit, where she provides insight and actionable feedback for improving your pins and profile. This is all packaged in a personalized video and PDF, I got so much out of this! 32) Pinteresting Strategies – If you have 25+ blog posts, you should start instead with Pinteresting Strategies. Since I purchased this course and implemented Carly’s strategies in December, my traffic has increased 300%, and continues to climb! This does involve incorporating manual pinning into your strategy, but I have found it to be most helpful for me. 33) Slaying Social Pinterest Traffic – This course is specifically tailored to Travel Bloggers and more for advanced pinners. Lia (the instructor) regularly gets 20,000+ visitors to her site from Pinterest, so she has a lot of great tips to share. 34) Pinterest Traffic Avalanche – This is actually the first course that I took, and it also has great content. Unlike the three courses above, the main focus is on automation, which seems to not work AS great for travel bloggers than other niches. BUT it is a great course overall. Last, but certainly not least…generating income from your blog! I know that this is one of the reasons that many start a blog, and there is a lot of potential to get great side or even full-time income from one. 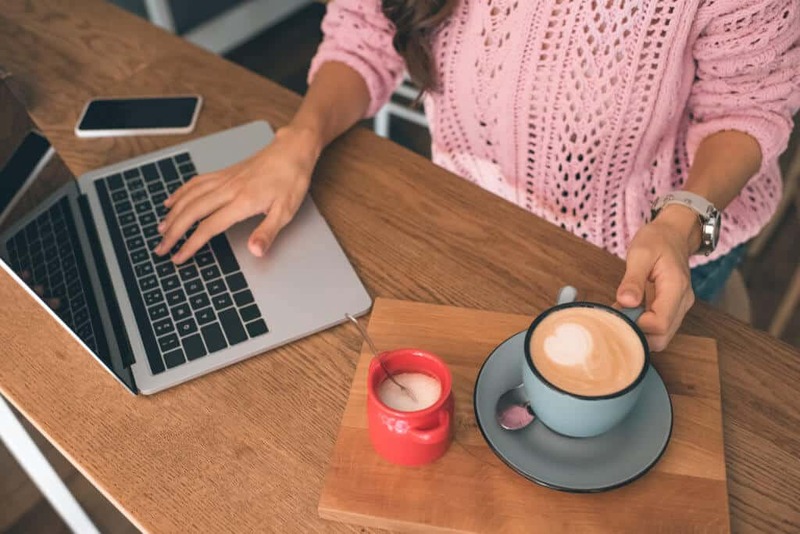 There are a several ways to monetize a blog, and these include Ads, Affiliate Marketing, Sponsored Posts, and selling your own products. Here are a few of my favorite programs and courses related to blogging income. 35) Amazon Affiliate – This is probably the most popular affiliate program as it offers products that fit almost any niche. I recommend starting here after you have at least a little income. The reason being that you have to make three qualified sales within the first six months to remain in the program. 36) Share-A-Sale – Share-A-Sale has several travel-related programs such as CityPass and Agoda. 37) AvantLink – This program is a bit smaller than the above, but has travel products such as Tortuga Backpacks and RailNinja that you can market to your readers. 38) Webgains – Webgains have travel-related programs such as Momundo for flights and the Heathrow Express. 39) Nomadic Matt’s The Business of Blogging Course – Affiliate marketing is one of the modules that Matt has in his travel blogging course (mentioned in the first section), and his tips are great! 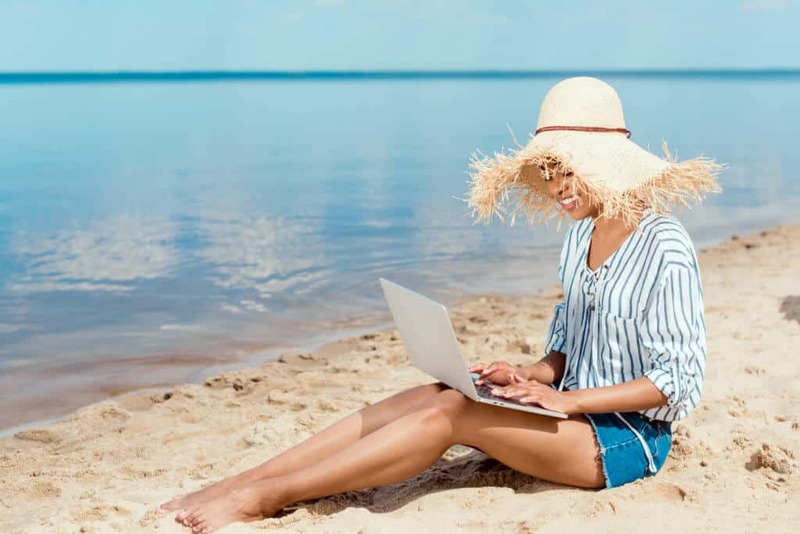 40) The No BS Guide to Affiliate Marketing for Travel Bloggers – Taking it one step further, this course includes very specific tips to address the challenges that travel bloggers face in affiliate marketing. (And yes, there are quite a few of those.) This ebook is a true gem! 41) Affiliate Marketing for Bloggers – Carly (who teaches Pinteresting Strategies), provides a fresh and realistic approach on Affliliate Marketing for those who aren’t focused on “blogging about blogging”. 42) Make Money Blogging for Beginners – If you want to learn everything about ads, affiliate marketing and sales funnel basics, this course is exactly what you’re looking for! 44) Six-Figure Blogger – For those who have already mastered the basics of making money online, this course teaches advanced money-making strategies. This includes building your own ebooks, courses, and more! I am planning to start this course in the next month. 45) Wealthy Affiliate Courses – As I mentioned at the start of this post, Wealthy Affiliate is a great resource for affiliate training. If you want to keep things simple, this is a great resource to use. Okay, I know that was a lot! 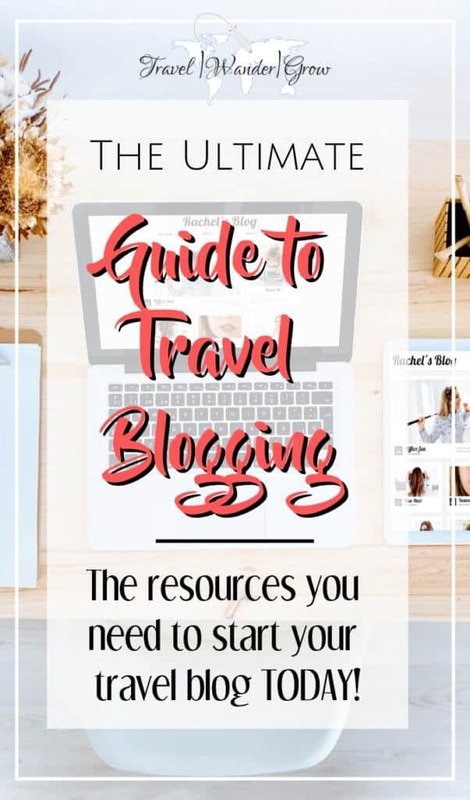 But with these travel blogger resources, you’ll be well-prepared to start a successful blog today. As a last tip, if you are overwhelmed by the number of courses / ebooks listed, I’d start with As a start, I’d begin with Business of Blogging by Nomadic Matt and then build from there. Please don’t hesitate to drop a comment or send me an email at christen@travelwandergrow.com with questions on any of these products! wow to be honest your article has really sparked my interest of starting a travel blog since I had been thinking about it. 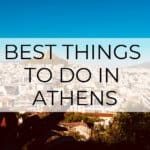 I love all the resources you put here and I am bookmarking this post. 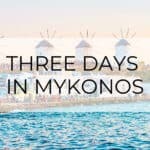 So to start a travel blog should you be travelling to different country every Month? I am asking because I only travel 2 a year but I just like the topic of travel. You should go for it! 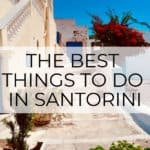 No need to travel every month, but you can write about things relevant to travel too (e.g., travel tips). Hi Christen, this is the most informative site I ever visited. Great and pertinent information and all your links lead to useful sites. Great job. Your site deserves to be recommended. Good luck to you. Thanks for the kind words Claude! This article is a hub for all first-time travel bloggers. Travel blogging would definitely be a dream come true for me, so I saved this site in my favorites tab simply because there’s so much information I can draw from this, so thank you for that. There are a lot of must-haves here, but something I’ve learned is the more you have in your arsenal, the greater your chances at success. I feel exactly the same way Todd! I’m glad that you’ve found these resources useful.